It seems like most of the country is experiencing really cold weather. I like the cold weather, but I don't like being cold! I also hate the thought of sending my kids to school out in the cold! 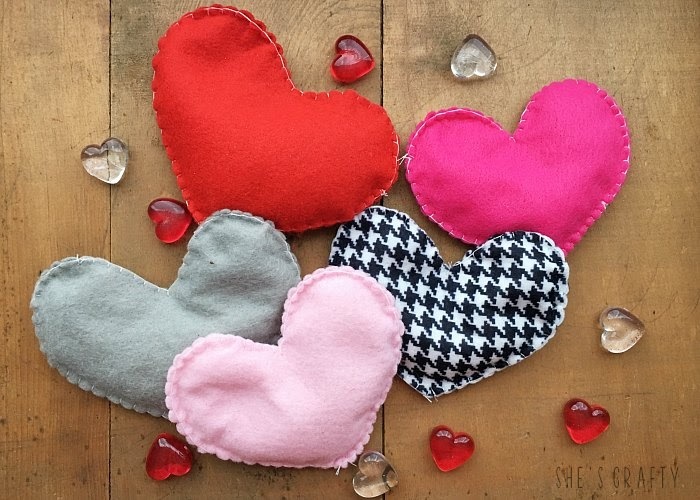 Microwavable Felt Heart Hand Warmers! this post contains amazon affiliate links. see full disclosure policy here. 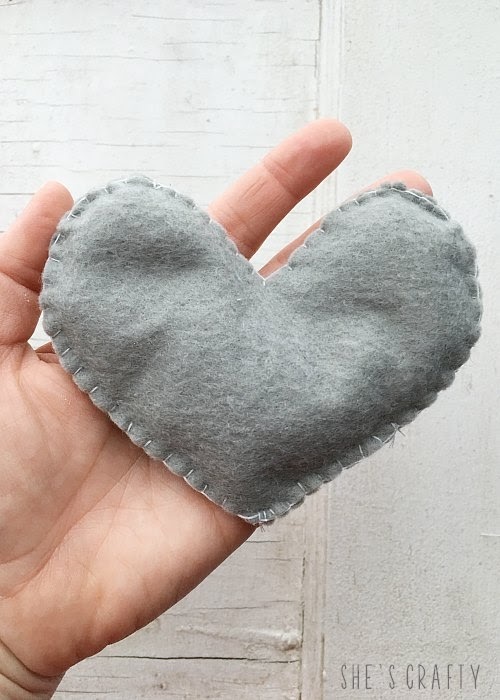 These little felt heart hard warmers are so simple to whip up to keep you and your loved ones warm! 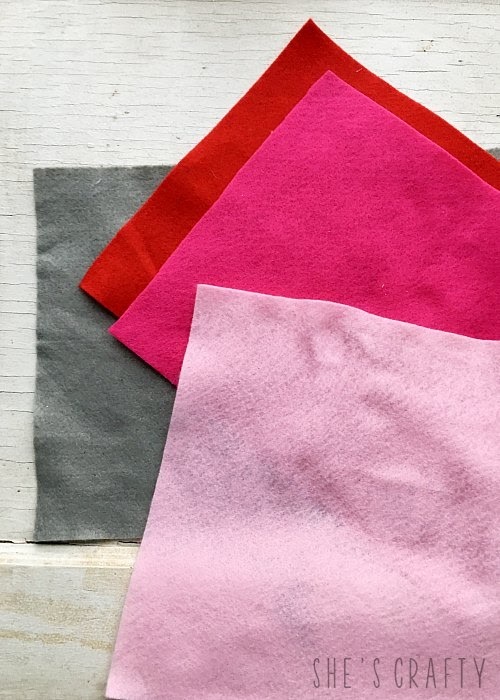 Use 9 x 12 felt sheets in various colors. -Be careful to not use felt with glitter since it made be metallic and not microwavable. Cut each sheet into fourths. Layer 2 of the fourths together, fold them in half and cut a heart shape out. 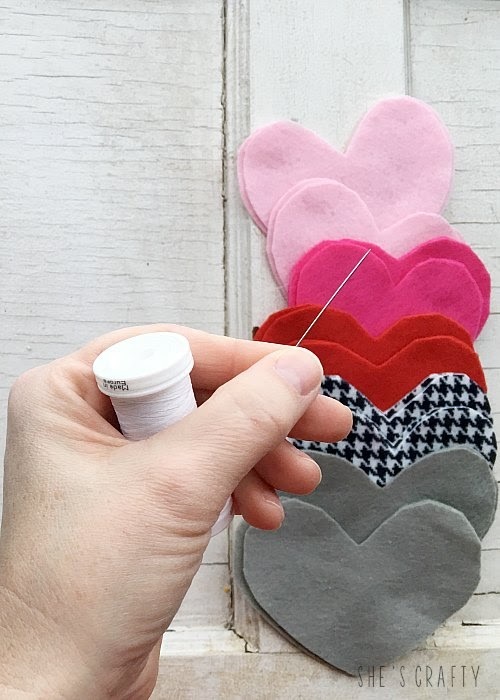 Once the hearts are cut, you may need to trim the edges a bit to make sure they are the same size and shape. 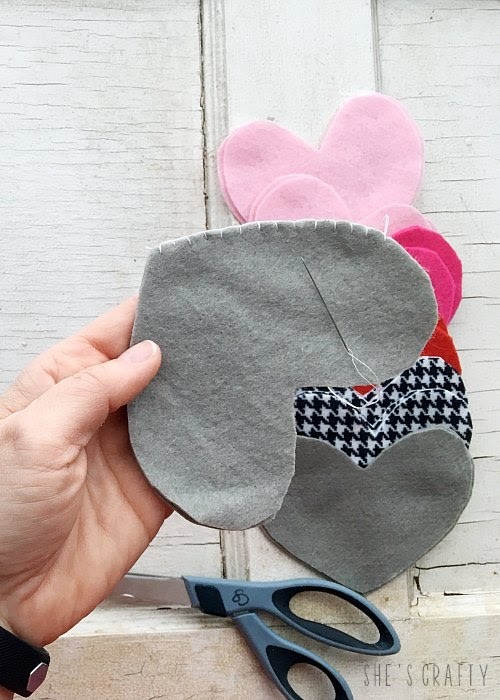 Use a needle and thread to sew a blanket stitch around the edges to connect the 2 felt hearts together. 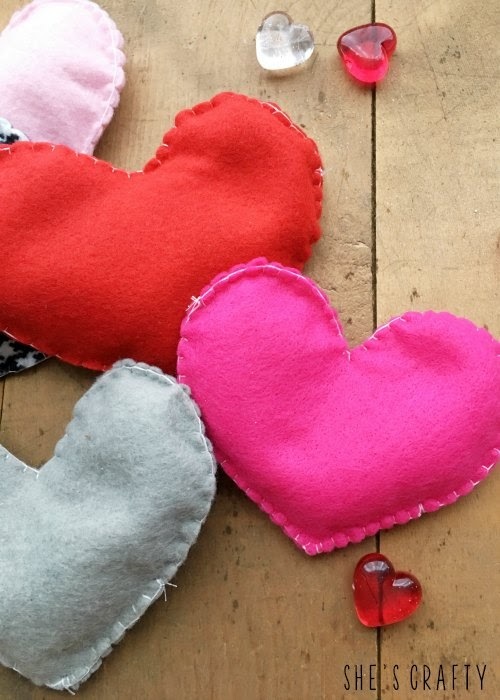 Sew all around the edges, leaving 2 inches open to stuff the hearts. 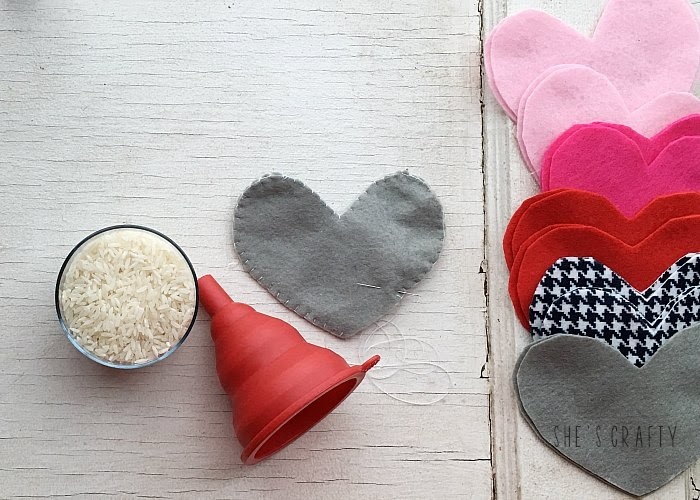 Use a funnel to fill the hearts with dry rice. Then continue the blanket stitch to close the opening. Once the hearts are finished, they can be warmed in the microwave for 20 seconds. 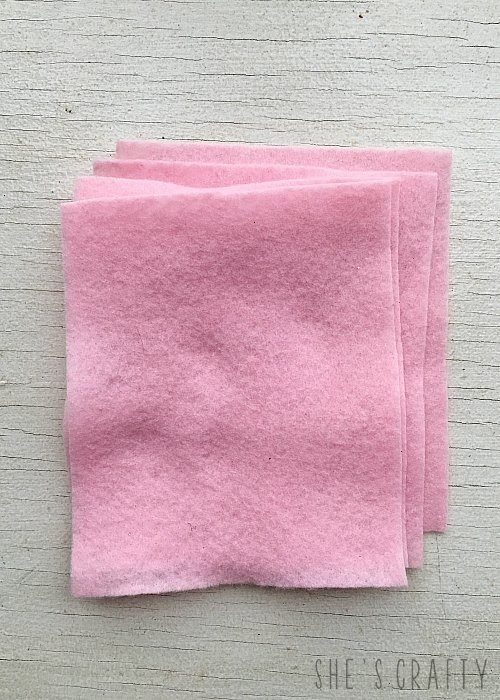 Then you can slip them into a coat or pants pocket. The warmers do not stay warm for a really long time, but long enough to get you to your destination. 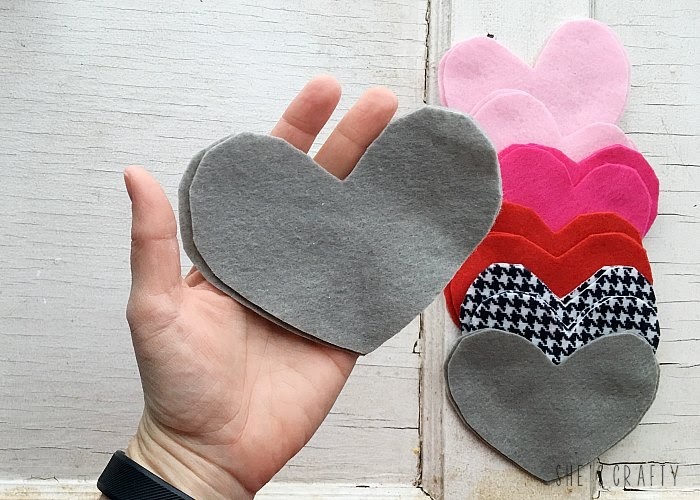 I will feel so good sending these Felt Heart Hand Warmers with my kids to keep their hands warm! Cute! I will have to give these a try. I actually like sewing by hand as opposed to sewing with a machine. 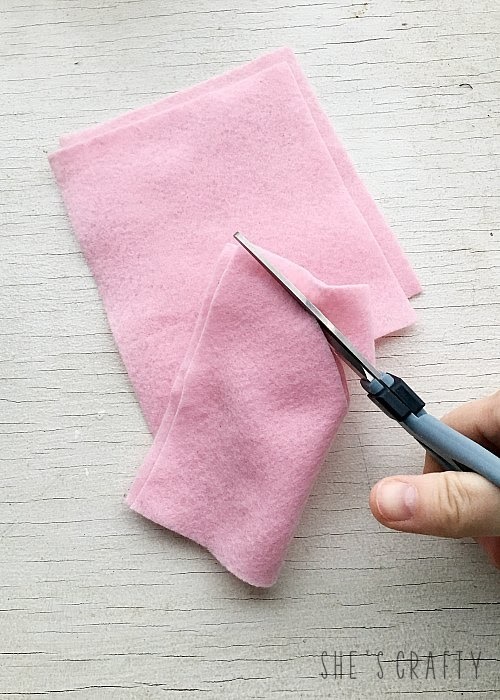 I almost sewed my finger once using a machine and have never quite gotten over my fear of them! These look amazing! I'll definitely have to make some of these for myself. 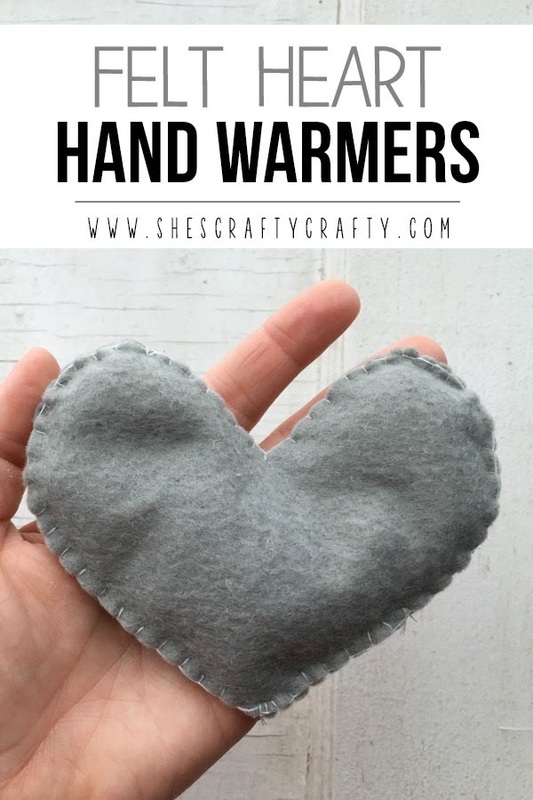 I have trouble with the cold (Raynaud's Syndrome), and these would be so helpful in the winter. Thanks for sharing at Sweet Inspiration! So sweet! 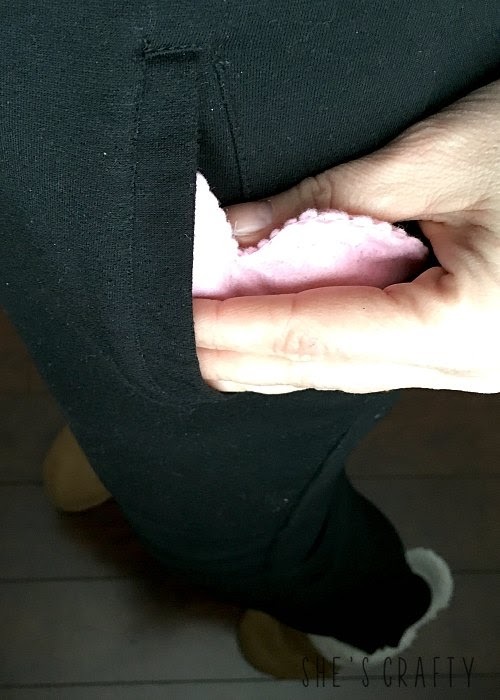 My adult son loves hand warmers, as he lives in the colder area of So Cal! I bet your kids love these! 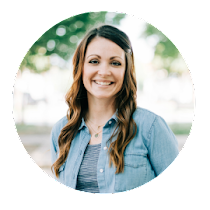 Thanks for sharing at Homestyle Gathering!